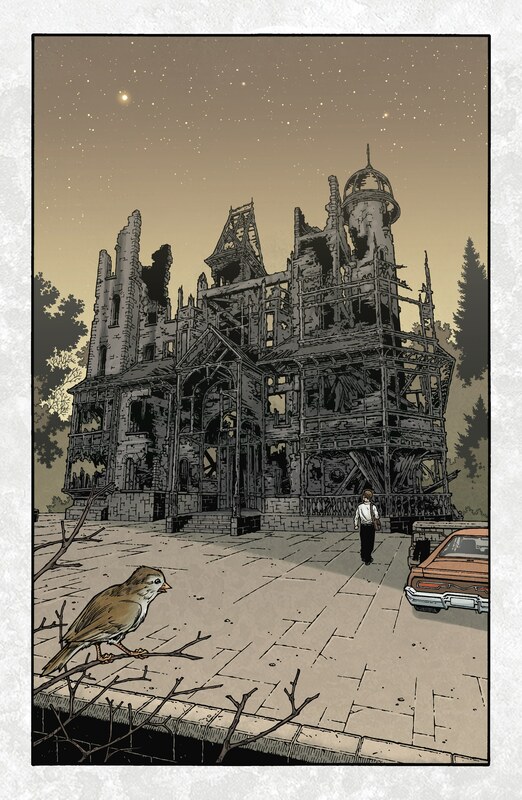 The end of Locke & Key is upon us. 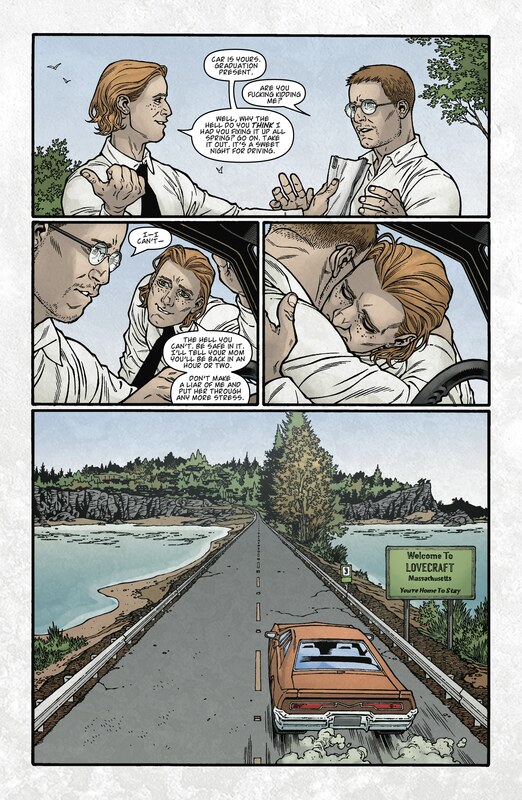 After the climatic blood bath that was Alpha #1, Alpha #2 reads like an extended, quiet epilogue. 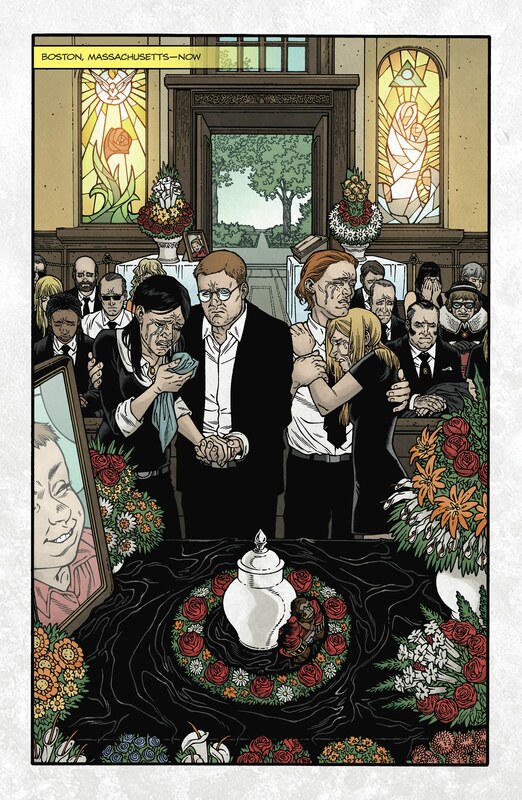 In a gut-wrenching parallel to the beginning of the series, Alpha #2’s first few pages depict the surviving characters gathering together for the funeral of the youngest Locke child—just as they did for patriarch Rendell in the first issue. From there, Hill ties up the story’s loose ends, from the fate of Luke to the whereabouts of Bode’s disembodied spirit. 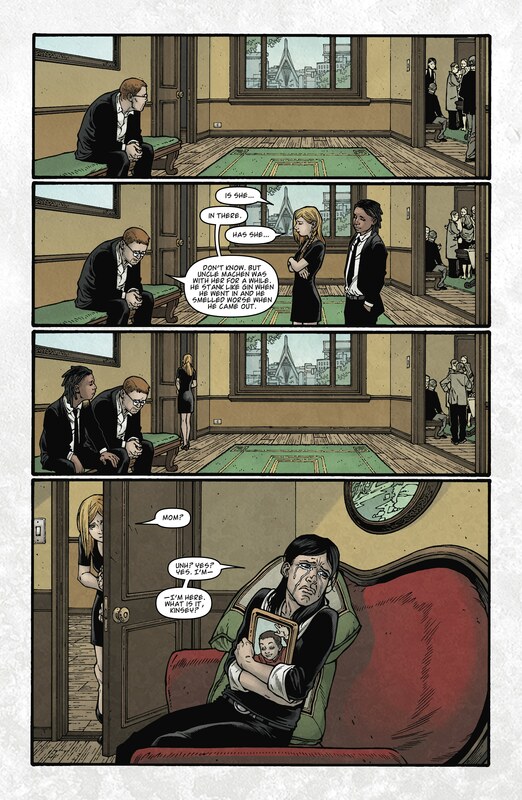 Though the concept of an entire issue purely centered on wrapping up various plotlines might sound dry and overindulgent on paper, Hill shows that, while he can be a bit ham-fisted in his dialogue at times, he’s among the best at using a few choice words to cut to the emotional core of a scene. What’s more, it’s important to point out that—despite the series’ predilection for gruesome set pieces and creepy, nightmare-inducing imagery—it was the characters and their internal journeys that ultimately anchored the narrative. The story opened with a family fragmented after the untimely death of the father. It’s only fitting that this long tale should conclude with a central protagonist finally coming to terms with the father’s absence and bidding him one last goodbye. 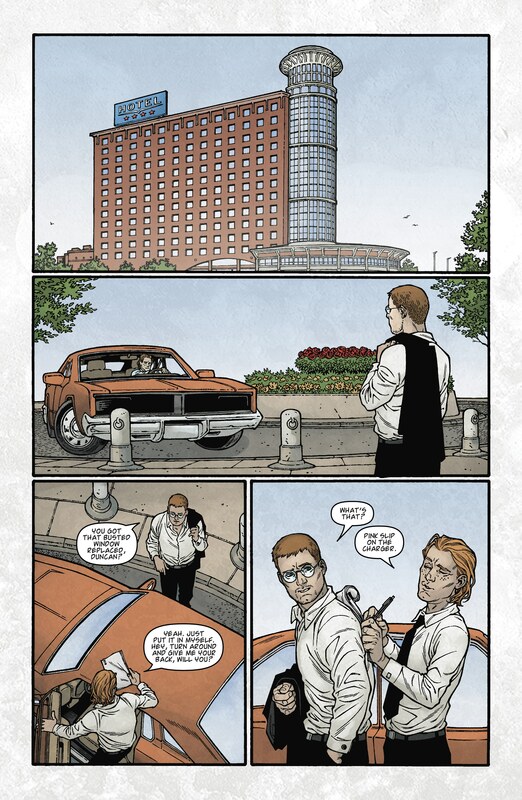 At its heart, Locke & Key was always a sprawling family drama that used the prism of horror to communicate its emotional truths. Artist Gabriel Rodriguez, a reliable force throughout the series’ run, delivers some of the best work of his career with this final installment. The comic contains multiple instances of dialogue-free panels that, in Rodriguez’s hands, are nothing short of haunting in their composition and use of space. Viewing panel after panel of Tyler strolling around the oddly serene remains of the family house, you can almost hear the gentle whisper of the wind or the pleasant chirping of nearby birds. 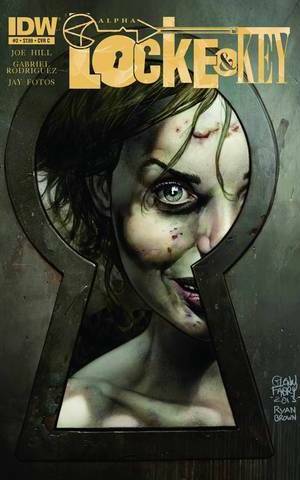 With Alpha #2, Hill and Rodriguez close the door (literally and figuratively) on one of the best comic book series of the past few years. 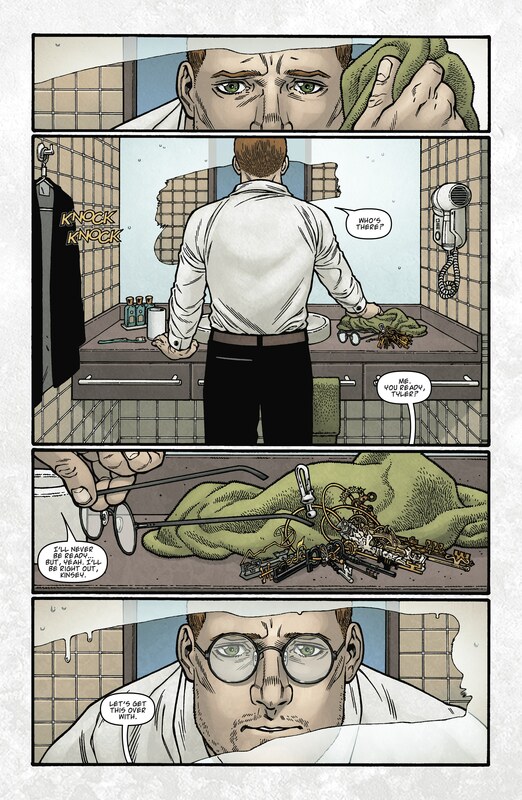 Only time will tell what different iterations the Locke & Key name will take (after developing an unaired TV pilot, screenwriting power team Alex Kurtzman and Roberto Orci are now looking to turn the series into a film franchise). Whatever the outcome, Hill and Rodriguez can proudly stand by what they’ve achieved. 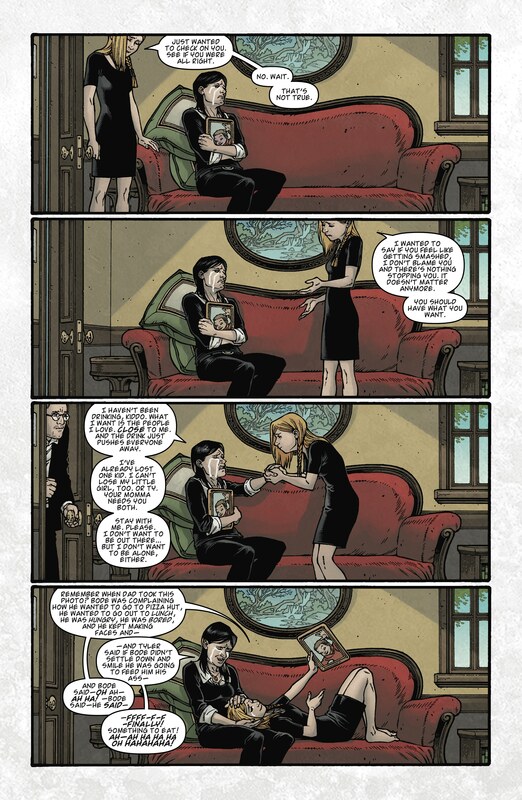 For all the times Locke & Key preyed upon readers’ greatest fears, it was all in service of telling the best possible story. Structured as a series of goodbyes, Alpha #2 is, in a broader sense, a goodbye from the creators to their audience. In that regard, it’s as beautiful and as poignant an ending note as you could ever hope for.